I can’t remember now what first inspired me, about ten years ago, to write about a puffin. 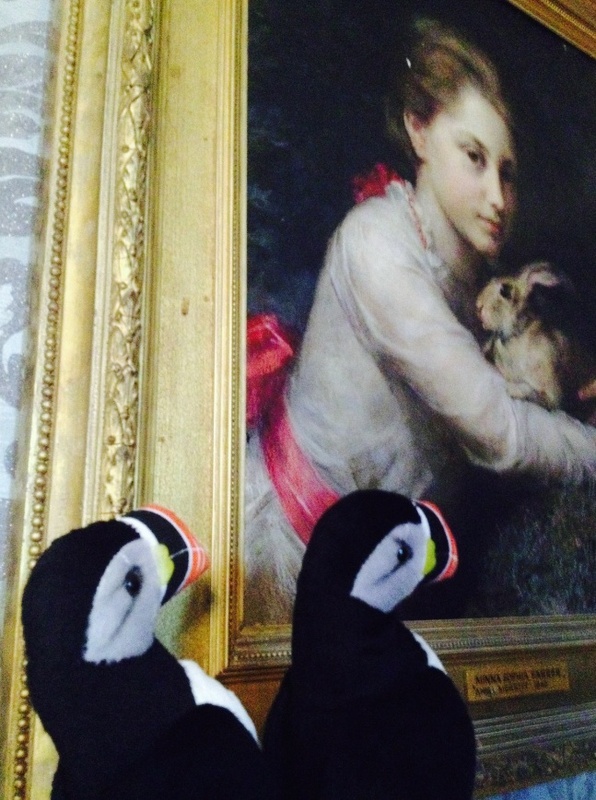 Perhaps it was a tin of oatcakes we had in the kitchen, with a charming image of two nuzzling puffins. Somehow a character emerged in my mind and a story started to develop. As it did, I decided to do some drawings so I could share the story with my children. I imagined a puffin who was unhappy living by the sea, and who dreamed of doing something more exciting. 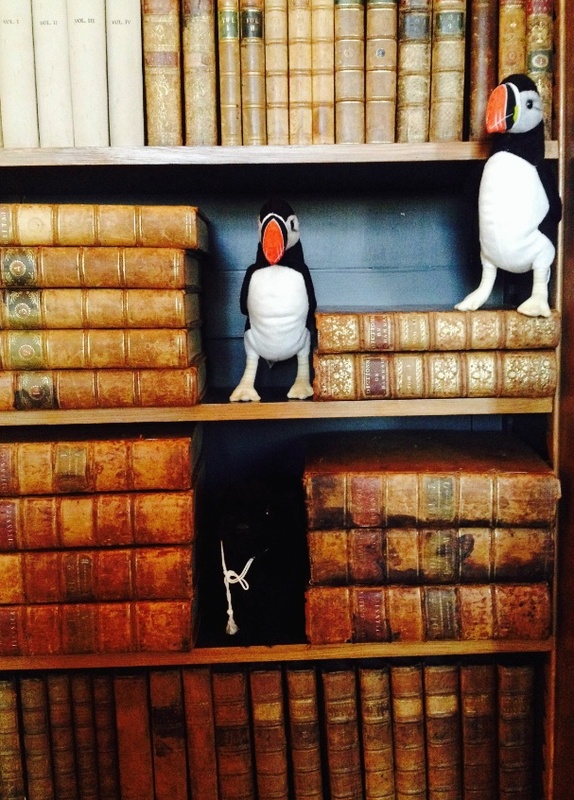 What else might a puffin do for a living? 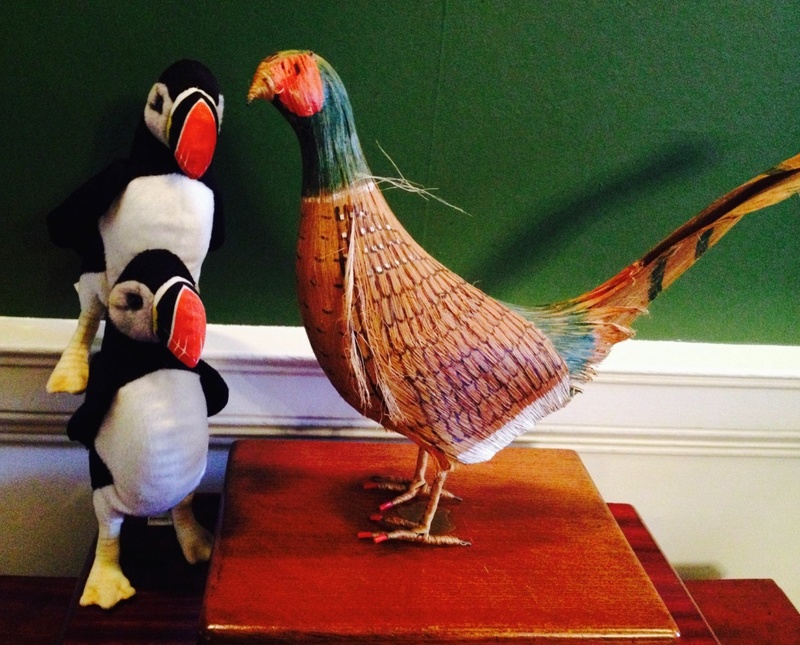 The puffin’s name was Lewis, and he came up with a few ideas. What about a football goalie? Or a cowboy singing songs out on the range? Lewis thought it would be fun to drive a bus. Or perhaps he could be an acrobat, or a mechanic, or a postman? Lewis had a brother called Harris who was not very sympathetic. He was perfectly happy being a puffin on the open sea, and couldn’t understand why Lewis wanted a change. When Lewis thought up his best idea yet, Harris just laughed. 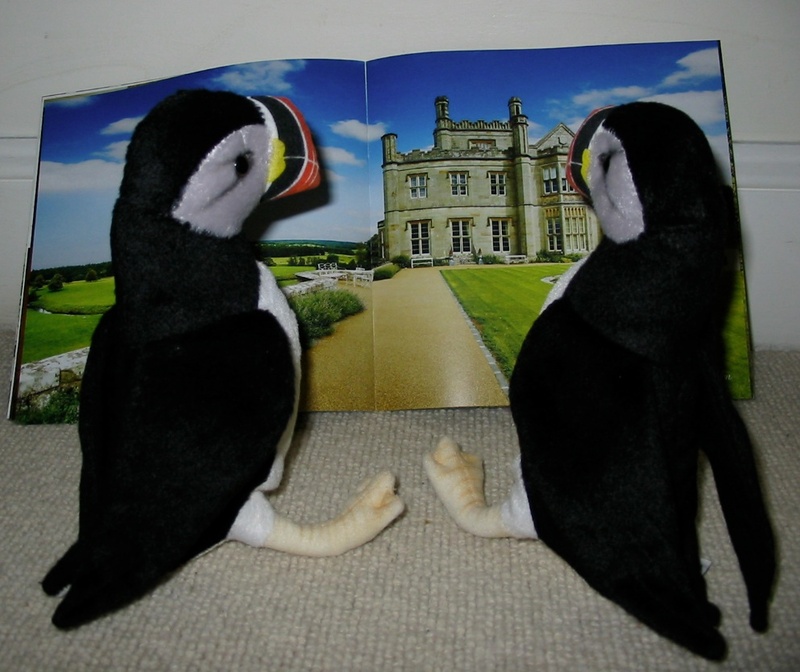 This was the kernel of my first puffin book, Lewis Clowns Around. If you know the book, you’ll know that a lot more happens to Lewis once he starts work as a circus clown. It was the first children’s story I wrote, and for that reason it took a good deal of honing and reworking before it could be shared with publishers. Even then, it was another four years before it finally found a home at Floris Books. That’s why the most important quality a children’s author must have is patience! It was all worth it in the end, as Lewis has since inspired two sequels, Harris the Hero and Skye the Puffling. And this year Lewis Clowns Around is getting a lovely new cover. Although I enjoyed doing the original line drawings of Lewis and Harris, I am very pleased that Gabby Grant and Jon Mitchell were chosen to illustrate the finished books. 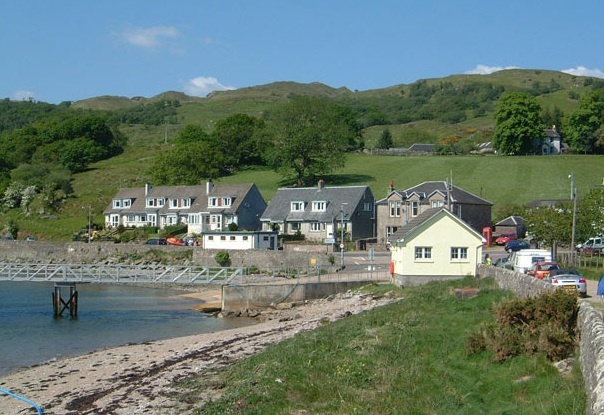 A little while back I received a wonderful package of letters from Kilmodan Primary School, a two-classroom schoolhouse in a tiny rural community in Argyll, Scotland. 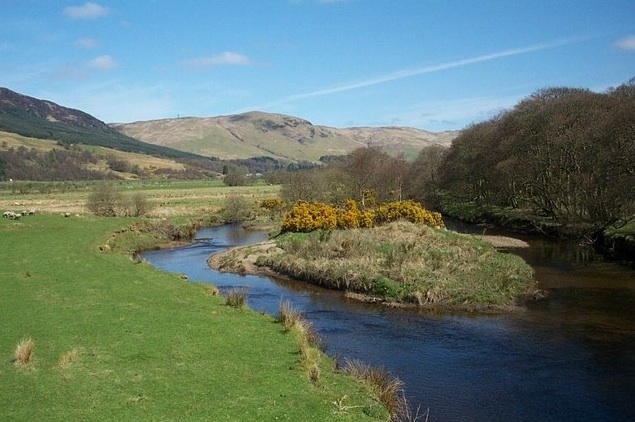 There are only thirteen pupils in the school, and the surrounding countryside is very beautiful. The river above winds through Glendaruel quite close to the school, and the harbour below is Colintraive where some of the pupils live. Lewis and Harris are back together now, as the circus is taking a little break. 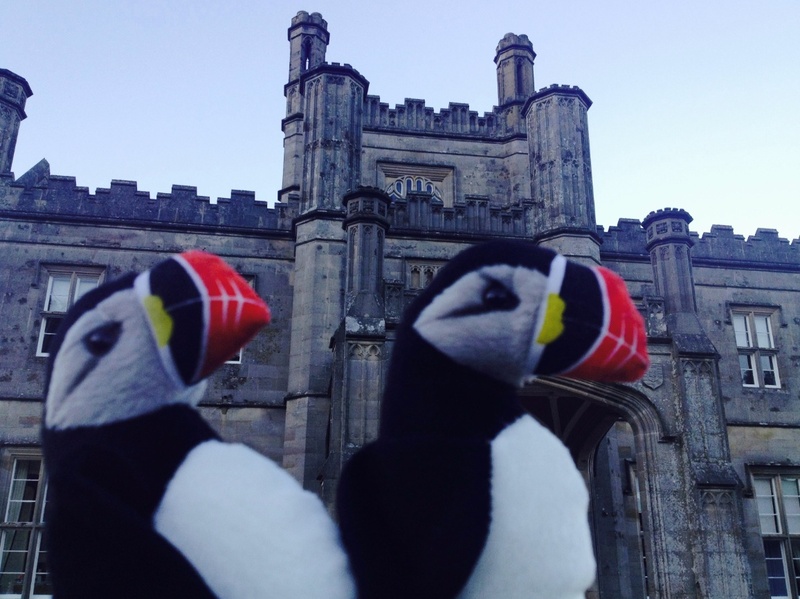 On Sunday the two brothers decided to fly off to Ayrshire to visit Blairquhan Castle, as it was a lovely sunny autumn day. They found a picture of the castle in a book and thought it would be great fun to go exploring there. Another painting was of a little girl holding a pet rabbit. Lewis and Harris got up near the painting to get a closer look. They thought the rabbit looked a bit worried. Next they visited the library. They had never seen so many books in one place! The little spaces in between felt just like a puffin’s burrow in the cliff. 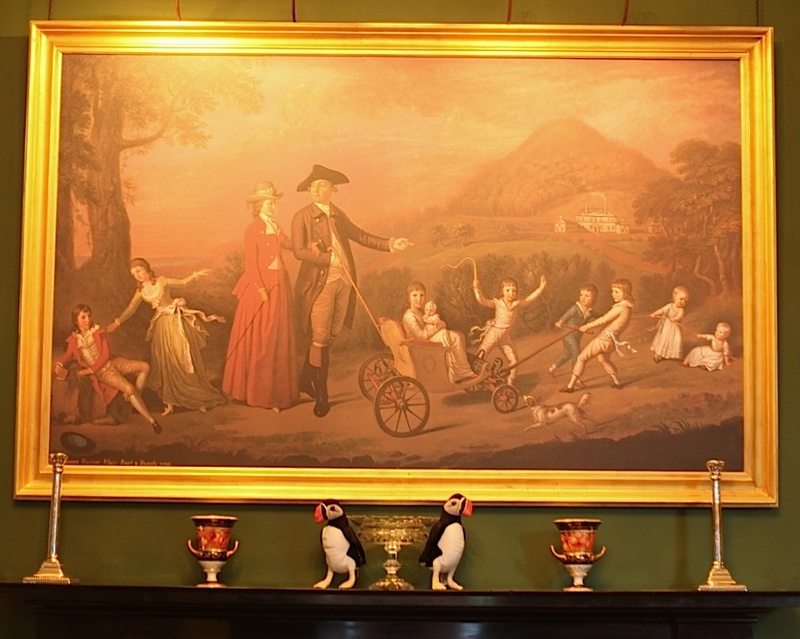 Next they wandered into the dining room, where they found a strange bird. It was a pheasant, but for some reason it refused to talk to them. Eventually they gave up and left him alone. What a rude fellow, they thought. Lewis and Harris ventured up some very grand stairs and found a big four-poster bed with tartan drapery. Next to the bed was a lamp with another animal – this time a handsome stag made of metal. 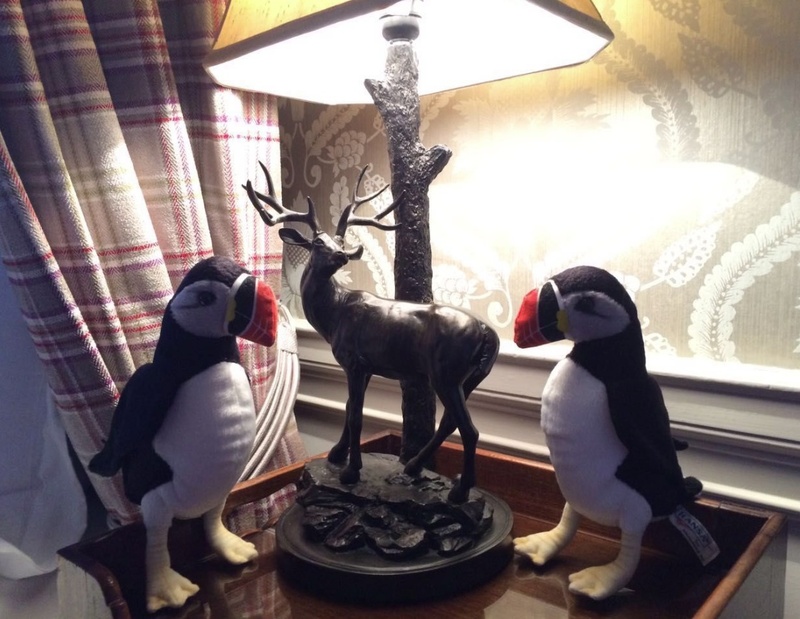 The puffins flew up to the bedside table to take a closer look. It was clear this one was not going to talk, but they thought he made a lovely lamp. Blairquhan Castle was a great place to visit, but it was getting late and Lewis and Harris needed to get home. 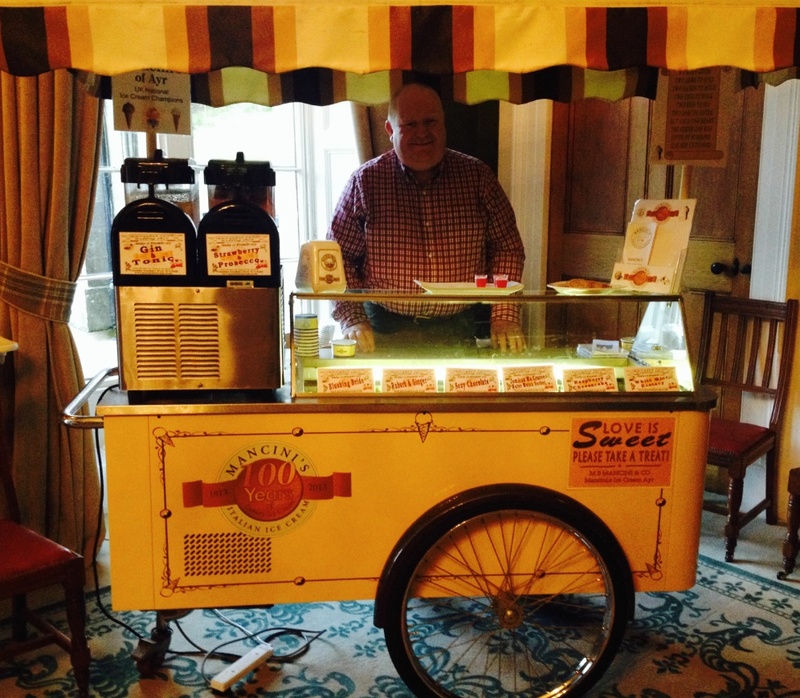 On their way out they stopped in the grand ballroom and spotted a very special ice cream cart. What a funny thing to find in a castle! They asked the man what he was doing there, and he explained that this was an open day for people who wanted to have their wedding at the castle. 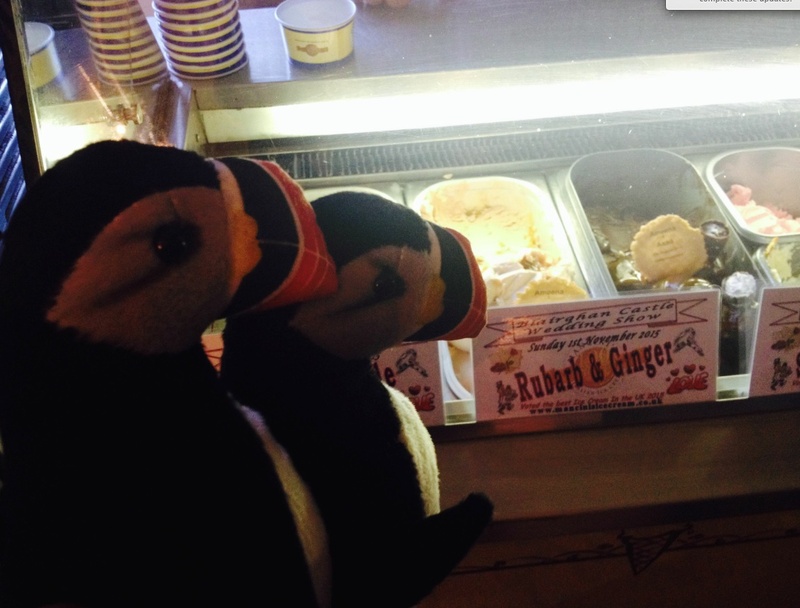 He offered a free taste of his special wedding ice cream, and Lewis and Harris couldn’t say no! Lewis liked the look of Rhubarb and Ginger, and Harris went for Yummy Watermelon. They were delicious! Ice cream was a perfect end to a great day out, and it gave them lots of energy for the long flight home. I wonder where Lewis and Harris will go next? A few weeks ago I got an email from a publishing company in India called Grapevine. 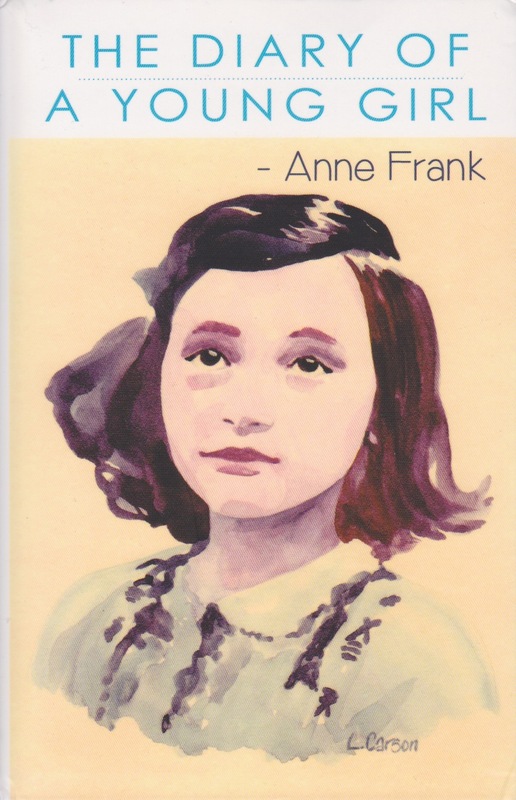 They had seen my portrait of Anne Frank (published on this blog) and wondered if I would allow them to use it on the cover of their edition of The Diary of a Young Girl. I was happy to accept! The Grapevine India edition of Anne Frank’s diary. It was very exciting to receive a package some time later with five copies of the book. This is the first time my artwork has been used as a cover illustration, and it got me thinking about cover art more generally. What makes you pick up a book? Can you buy a book with a hideous cover? (I find that tough.) Have you ever bought a book just for its cover? In spite of the famous saying, it’s very hard not to judge a book by its cover! A retelling of Helen Bannerman’s classic tiger story, illustrated by Fred Marcellino. Here’s an example of an irresistible cover illustration, done by the talented illustrator and cover designer Fred Marcellino. 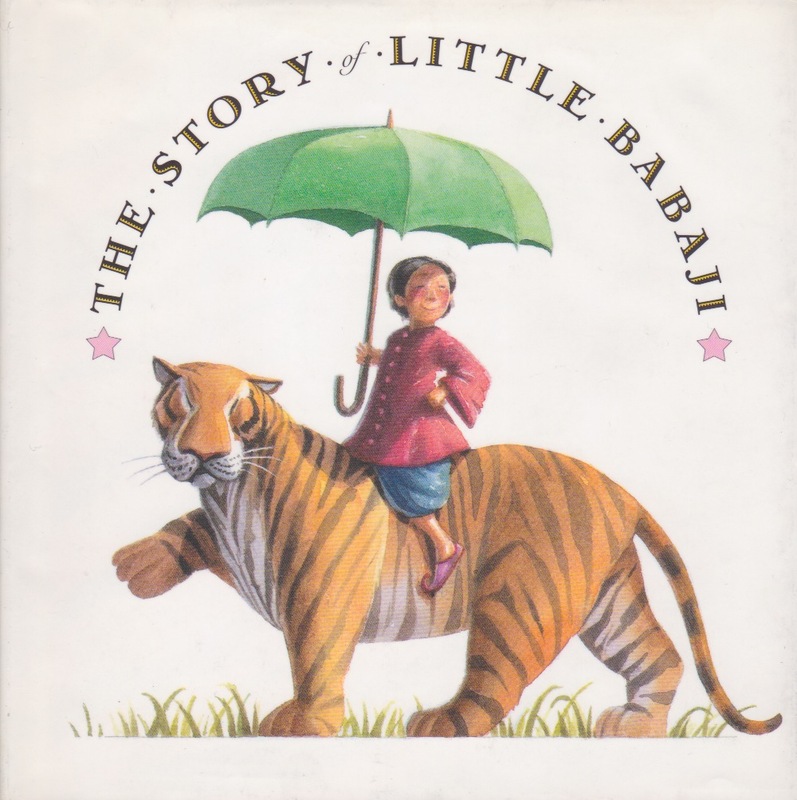 Little Babaji is such an intriguing character, sitting proudly on that tiger, you just have to open the book and read! Clearly that is the objective of every book cover. Some are more successful than others. With children’s books, we all have our favourite illustrators, but books for adults also have to grab the reader’s attention and have visual appeal. 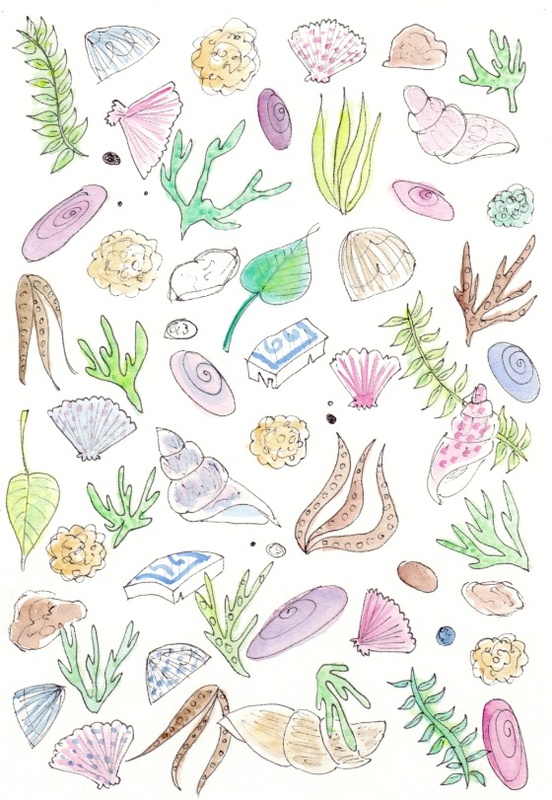 Designing a book cover is a very special talent! 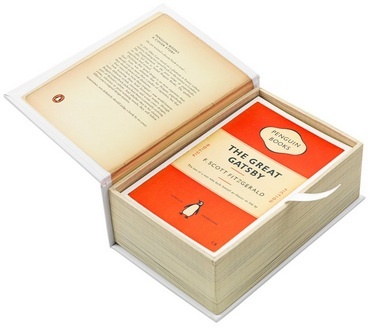 One hundred classic Penguin book covers in a box shaped like a book! Now it’s possible to own 100 book covers from a variety of classic publishers, just to appreciate the designs. They are printed on postcards and fill a box that looks like a big book. The first of these was Postcards from Penguin, with classic book covers from the 1940s through to the 1990s. 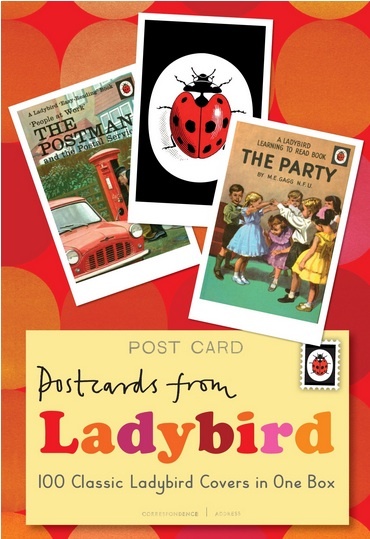 Other collections have appeared in the same format since, including Postcards from Puffin (children’s books) and Postcards from Ladybird (1950s learning-to-read books). Faber and Pelican book covers can also be found in 100 postcard boxes, as well as Beatrix Potter illustrations and photos of famous authors. Clearly, cover art is very much appreciated these days! The book will be published by An Lucht Lonrach in Scotland. 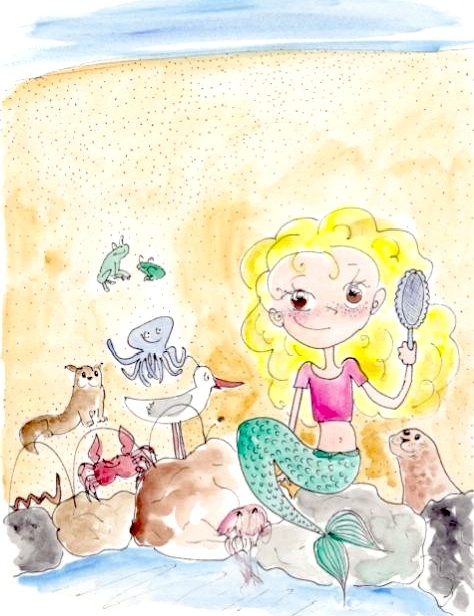 You can visit their website for more information on the mermaid book. The other day my daughter mentioned the great Italian composer Giuseppe Verdi, and I was reminded of a fantastic portrait of him painted by Giovanni Boldini. When I was at art school I had a poster of this image on my wall, so the splendid gentleman with his top hat and jaunty scarf would greet me often in the course of my day. 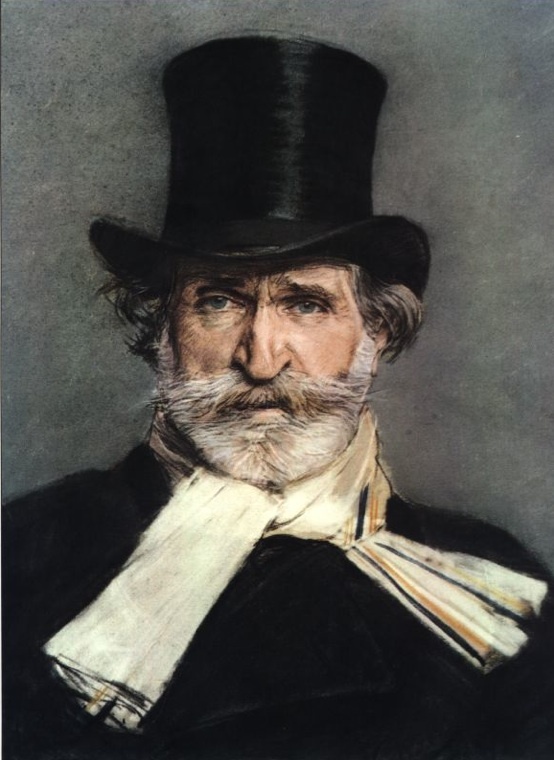 The poster is long gone, but just a mention of the name Verdi instantly brings this handsome portrait back to me. 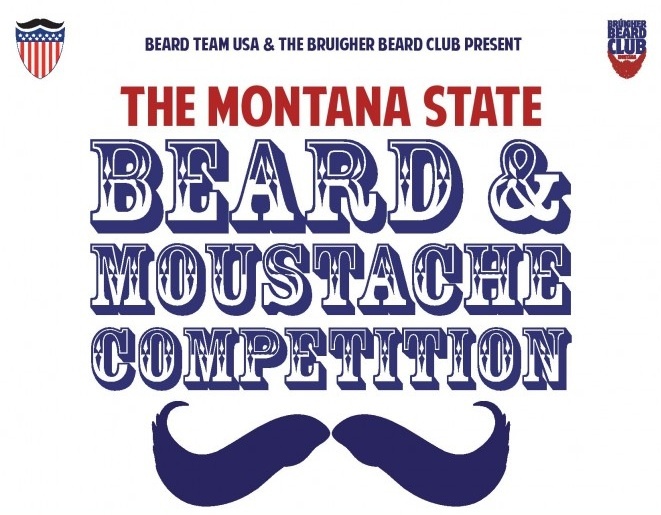 Did you know that in the World Beard and Moustache Championships there is a category of beard called the “Verdi”? Of course there is. There are quite a few people around the world who take facial hair very seriously! 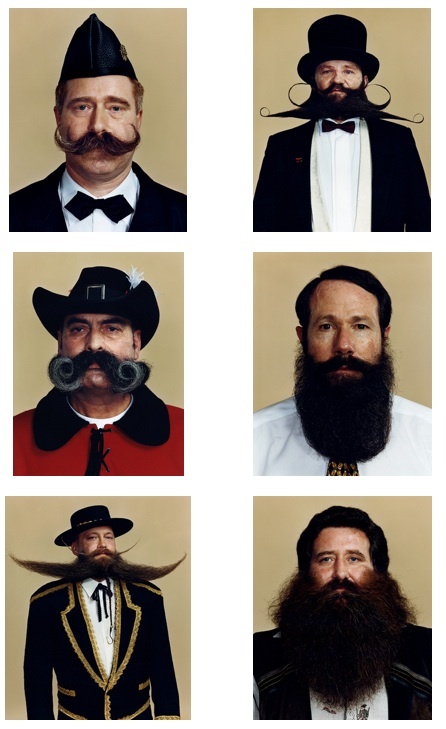 These guys have all been competitors in the World Beard and Moustache Championships over the years. A good number of them come from Germany and Switzerland, where beard cultivation is a well developed art form. Over the centuries, beards and moustaches have gone in and out of fashion. Depending on the look you choose, the effect can vary enormously. 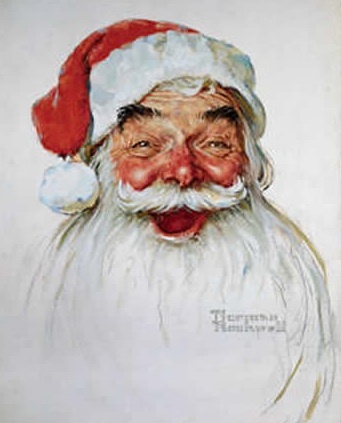 A big white beard for example, as worn by Socrates and Santa Claus, is reassuring and conveys wisdom and kindness. Painting by American artist Norman Rockwell. 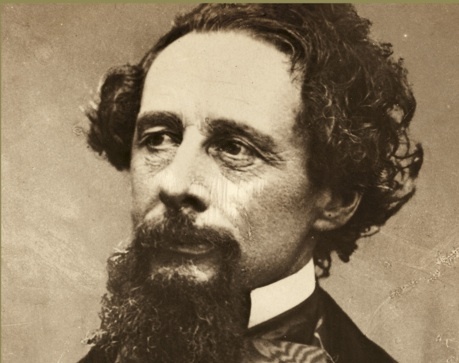 A carefully manicured goatee, worn by Charles Dickens, gave him an air of distinction and individuality. 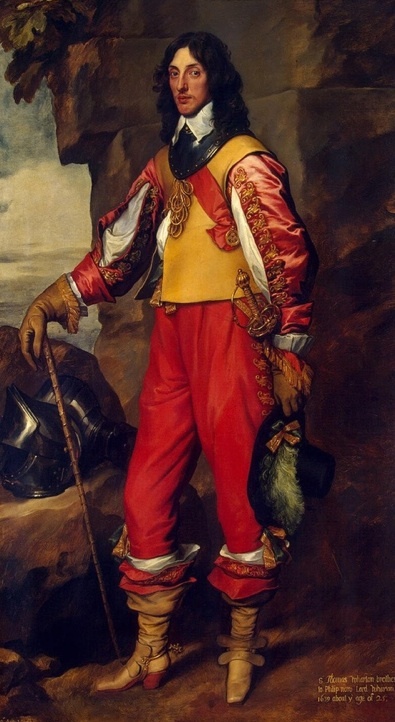 Apparently he was also fond of fancy waistcoats and gold jewellery. Very dapper! 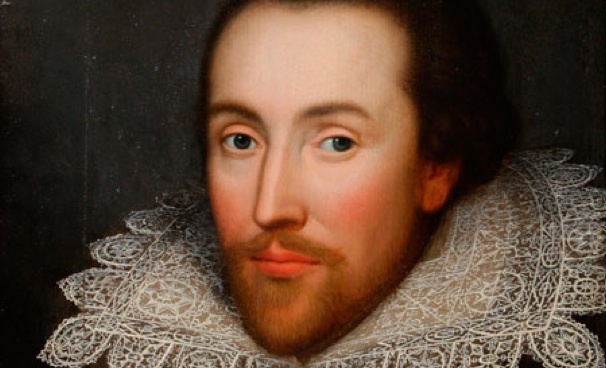 His neatly trimmed beard comes to a point, and brings to mind another Elizabethan gentleman, Sir Walter Raleigh. In those days a beard was a sign of manliness, but in the next century (the 17th) it became fashionable for men to be clean-shaven with long, curly hair (often wigs). Fashions come and go (thank goodness) and not everyone follows the herd. 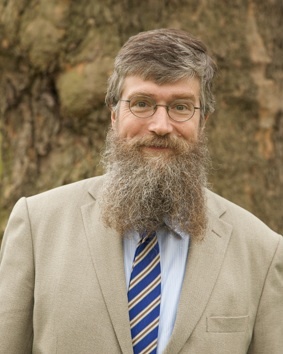 In the 1960s it was in protest against social constraints and repressive government policies that young people grew their hair and beards long and called themselves “Hippies.” In the ’70s and ’80s beards became unfashionable again, as money and success were seen as what society should be striving for once more. For some men it came down to a choice between their beard and their job, as certain occupations (police, health care professionals, Margaret Thatcher’s cabinet) forbade facial hair. Thankfully, today there is much more freedom in that department, and the beard is currently enjoying a resurgence of popularity. There are clubs and associations around the world celebrating a rich variety of facial decoration. Celebrities from George Clooney to Graham Norton are sporting beards these days, and for those who have been standing out in the crowd for the last few decades it comes as a bit of a shock.